A thousand feet or so after the Cross County, we’ll approach the Sprain Brook. 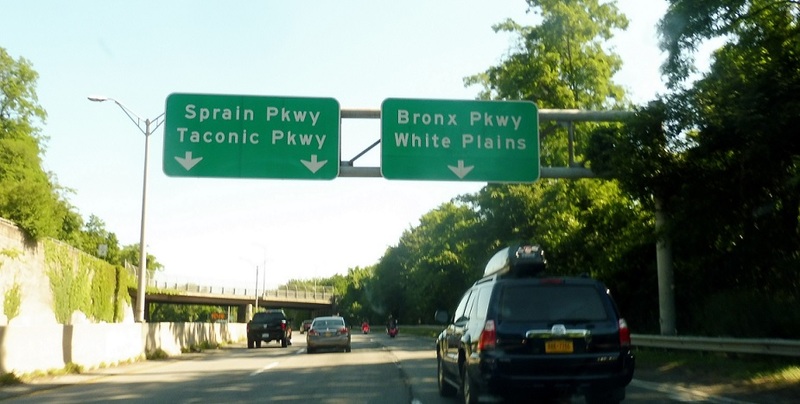 Keep left for the Sprain Brook, which is the most direct connection to the Taconic State Parkway. Keep right for the Bronx River Parkway up to White Plains.